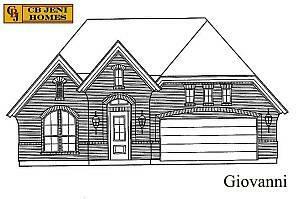 Homes For Sale – Richardson, TX – Beautiful new construction on oversized lot with dramatic entry. Large island kitchen with granite counters, stainless appliances, and custom Birch cabinets. French doors lead to private study. Formal dining has picture frame molding and chair rail. Master bath with dual vanities has oversized shower and walk in closet. Designer touches include crown molding, rounded corners, and art niches. Many energy features. Ready October, 2010. Click here for current status, pricing, and photos. Yesterday, the House passed HR 5623 by an overwhelming margin of 409 to 5. This bill would extend the “close-by” deadline for the home buyer tax credit to September 30. The Senate still must approve the measure before President Obama can sign it into law. Senate leaders announced that they are working on a similar bill on which to vote. As a stand-alone bill, the extension appears to have the broad support needed to pass. 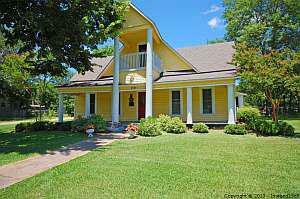 Homes For Sale – Palmer, TX – Texas Historical Home on .83 acres. The Harkey-Payne Home was originally a four-room house with south and east porches, this home was built about 1870 by carpenter and blacksmith D. H. Harkey. Original hardwoods and exposed bead boards. Lots of updating completed including windows, water heater, recent plumbing, sewer lines, gas lines, completely rewired, HVAC units, fresh paint, etc. Updated island kitchen with recent stainless appliances. NeighborsGo, a local publication of the Dallas Morning News, named Gina Branch as the Neighbors Choice Award winner for West Plano. Gina was selected as the real estate agent by readers of the publication. The NeighborsGo print edition is published by The Dallas Morning News every Friday in 17 editions that cover 39 communities. Neighborsgo.com covers more than 70 communities in the Dallas-Fort Worth area, plus three entities: DART, Jason Castro and State Fair. In addition to the Gina’s individual award, RE/MAX Dallas Suburbs was named the office award winner for Plano and Murphy. Are PMI Companies the New Short Sale Train Wreck? I’ve been trying to finish up two short sales with a conventional lender. I listed them in late October and executed contracts the first week of December. 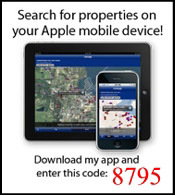 Each property had about $85k remaining on the mortgage. Property values have plummeted in this particular part of town and the vacant homes in the area are vandalized, further driving down values. The BPOs came in at $29k on each of them and we had cash contracts at $28,800. With the holidays, we got the files into the lender in January. By the middle of February, we find out that both files were declined when the lender could not contact the seller. I checked and both the email address and phone number were correct. The second pass through was somewhat better and at least we got the files processed. The bank does their BPOs and all looks well. Last week we finally get a response on the first file. While the lender is good to go, the PMI company wants the seller to hold a $20,000 note for 6 years. In 75-plus short sales I’ve never seen anyone ask for more than $5,000 from a seller and only had to get a seller to carry a note once. The seller really did not want a foreclosure and offered them $5,000. It took less than four hours for it to be declined. By allowing the property to go into foreclosure they cost themselves about $20k which is not recoverable. The lender will take back the property and evict the tenants. Once vacant, the properties will be vandalized within days. What’s worth $29k today will be worth $19k so the lender will lose another $10k. If they had moved forward with the short sale, the PMI company would have recovered $5k from the seller, the lender would have come out $10k better, and the neighborhood would be that much closer to stabilizing. The original note was $87,500 and the PMI was likely 25% or $21,875. The seller has been paying the premium for 5 years. It appears the PMI company wants come out even or ahead on this sale. 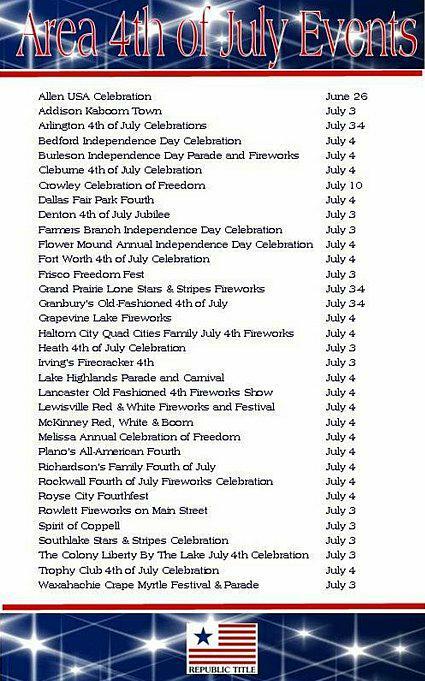 Here is a list of July 4th events planned in the local area. Many thanks to my friends at Republic Title for putting this together.